On Wednesday July 1st I’ll be heading into the meadow with a few others – anyone in fact who wants to come along to the Open Meadow event. I am feeling excited about walking in and enjoying all that the valley has to offer. We may begin with a spot of bird watching – there’s a patch of river bank where sand martins dart in and out, elegant shimmers above the river. Then once in the meadow, we’ll be greeted by waves of flowers that are getting taller, brighter and more vigorous as the summer progresses. 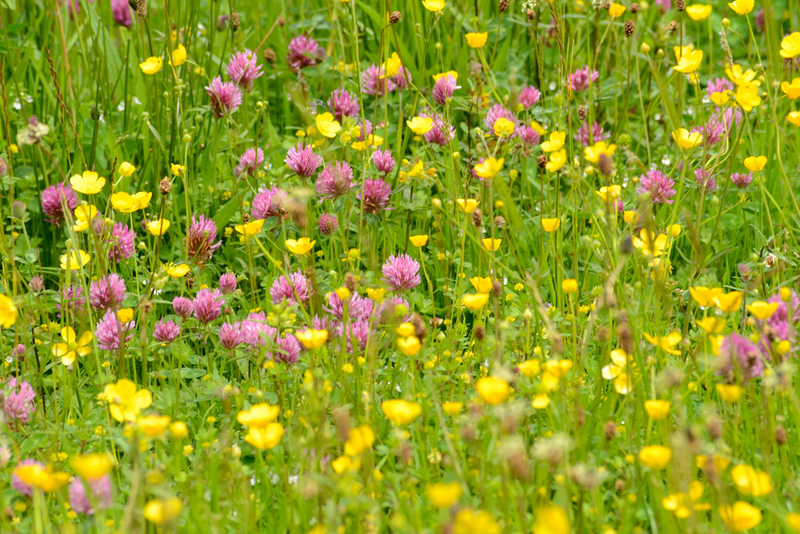 Jan Darrall from the Friends of the Lake District will be with us, and at least one other meadow expert (who I know is bringing a magnifying glass as well as binoculars), so that gives a perfect opportunity to have questions answered. I also have a few books about wild flowers on site to help with any identification debates. We might even do a bit of cloud watching, although there might not be any. The forecast is for warmth and sun, finally! And of course there will be some poetry. I’ve put together a collection of poems closely and loosely related to meadows, but all related to nature, written by others, and will be sharing these. I’ll also share a few of my own. And I’m encouraging others to take part – there will be bunting spread around that’s ready for writing on (I have the pens! ), tags for placing poetry in the land, and reams of hand-made paper to add your thoughts to, rhyming, poetic, prose or otherwise. I hope the forecasters are right, because I’m beginning to imagine a leisurely day in dappled sun, riversong drifting on the light breeze, sketch books and notepads out, discussions about flowers, grasses and birds, and the kind of gentle conversation that drifts wildly and goes off at a tangent when people get together in a beautiful space that’s also a bit cut off from every-day life. There is no WiFi and very limited phone signal; it will be about relishing the place and each moment, and feeling that very special kind of refreshment that comes from being outdoors surrounded by beauty. Life seems neither long nor short, and we take no more heed to save time or make haste than do the trees and stars. This is true freedom, a good practical sort of immortality. If you’d like to come along, go to the Friends of the Lake District website (here) or read through the event page on this website for details of the day. Please do contact the Friends so that we have an idea of how many people to expect, or leave a comment at the end of this blog. We plan to meet in the layby on the A6 at 0930 and wander in. The meadows are roughly a 40 minute walk from the road, but if we become distracted by sand martins, sundew, fresh larch cones, foxgloves or poetry, it will take us a bit longer! Thanks, as ever, to Rob for the gorgeous photos. Something to inspire anyone who wants to take pictures in the meadow over the next few weeks.